In Conversation with David Ellefson - School of Rock! In today’s podcast we get up-to-speed with one of the founders of thrash, Megadeth bassist David Ellefson. 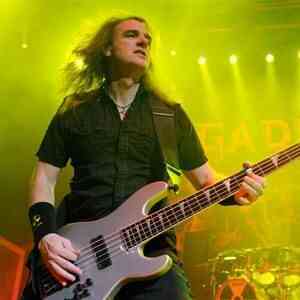 As founding member of US rockers Megadeth, David Ellefson needs little introduction as one of the founders of thrash. Having appeared on countless Megadeth releases including the bands 1985 debut, Killing is My Business… And Business is Good!, right through to 2002’s Rude Awakening, Ellefson is rightly regarded as a pioneer of thrash metal bass playing. Back with a new album, Dystopia – Ellefson’s punchy bass tone and his ridiculous picking-hand chops are sounding better than ever. How the Megadeth sound was born. What life’s been like on the Dystopia world tour. How David first honed his bass chops. All about his signature bass gear.